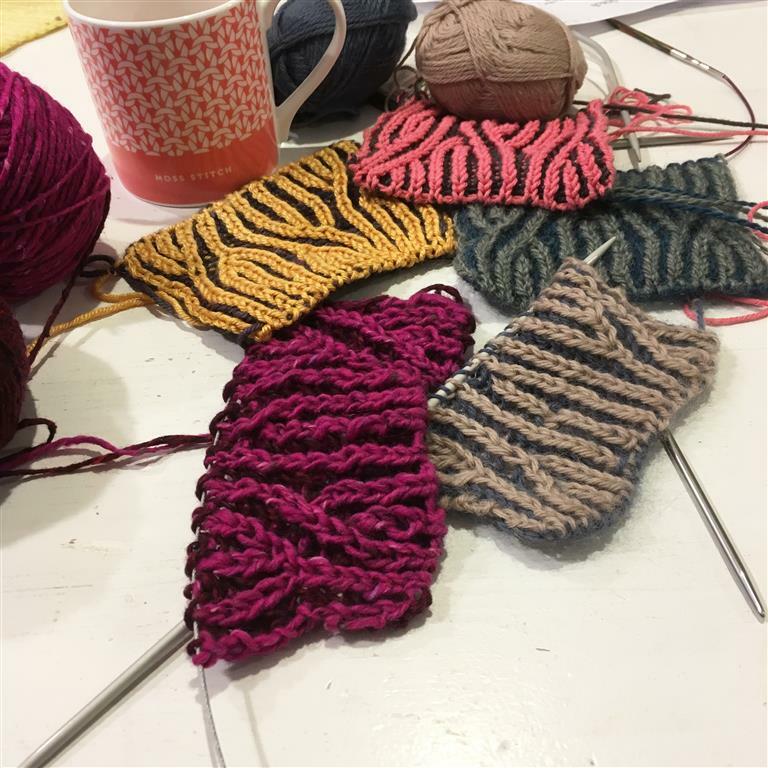 Practice materials will be available to use in the class, but if you would prefer to bring your own, you will need 2 contrasting (one light and one dark) colours of DK-weight yarn and 4mm circular needles. Renée Callahan is a knitwear designer and teacher living and endlessly knitting here in East London. Originally from Seattle, where she studied history of art, she came to the UK as an exchange student but fell in love and stayed, changing not only her home town, but also her career when she went back to college to study fashion design with knitwear. She began to knit relatively late, but with the zeal of the newly converted, she found a way to rebuild her life with fibre arts at the centre. She loves to think about knitting construction and to pass the skills on with teaching.